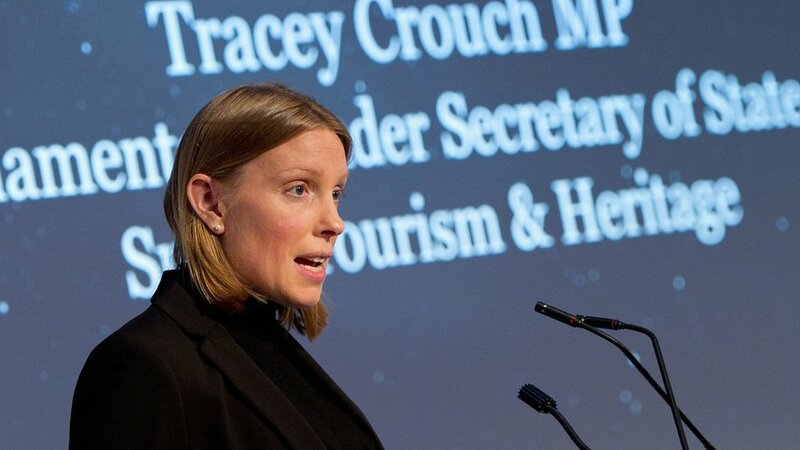 Ex-sports minister Tracey Crouch has said MPs interested in the betting industry are behind “delays” to new laws on fixed-odds betting machines. Ms Crouch resigned from her post after Chancellor Philip Hammond said the cut in stakes from £100 to £2 would come into force in October 2019. Ms Crouch said it was a “fact” that some MPs are “very interested in the bookmaking industry”. Currently, people can bet up to £100 every 20 seconds on electronic casino games such as roulette. Ms Crouch was asked about a newspaper report suggesting she believed a meeting between Conservative MP Philip Davies and Digital, Culture, Media and Sport Secretary Jeremy Wright was key to the delay. She added Mr Davies was “very vocal in Parliament on behalf of the betting industry”. Anti-gambling campaigners say the machines let players lose money too quickly, leading to addiction and social, mental and financial problems. Fixed-odds betting terminals generate £1.8bn in revenue a year for the betting industry, according to the Gambling Commission, and taxes of £400m for the government. Ms Crouch also voiced her disappointment that the proposed sale of Wembley Stadium had not materialised. Shahid Khan, who owns Premier League club Fulham and NFL side the Jacksonville Jaguars, withdrew a £600m offer due to a lack of support from FA council members. Ms Crouch said she hoped the deal could be resurrected to provide “opportunities to get a significant investment” into grassroots football. She added the sale of the England national team stadium could also bring about the possibility of an NFL franchise in London and therefore a “£100m per annum economic boost”.